Some people complain about having drums as part of the music at church. But even most fervent percussion protestor should lend an ear to this drum-laden rendition of "How Great Thou Art." 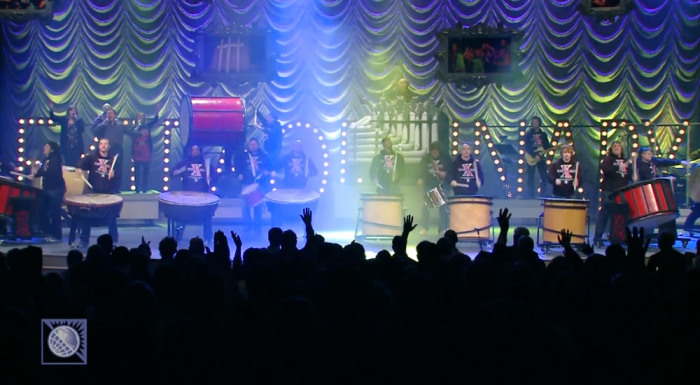 The performance takes place at World Outreach Church in Murfreesboro, Tenn., and is a collaboration between the church's musicians and drum group Stikyard. A custom bridge is even added to the song to make it stand out even more. The energy and creativity are sky-high, making for one unforgettable version of the timeless hymn.